The main character of this remarkable book tells what it was like to exist as an infantry soldier under the horrific life and death situations encountered on the World War II battlefield. 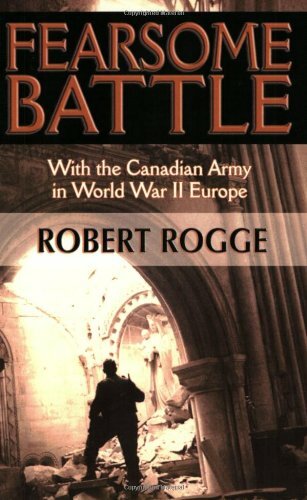 Robert Rogge, a 22-year-old American volunteer with the Canadian Army, waded ashore in Normandy on D-Day, 1944. He survived eleven months of intense fighting until May 1945, when the Allies achieved their hard-fought victory in Europe. Infantrymen of the 8th Canadian Infantry Brigade passing a Sherman tank while advancing to attack the industrial area of Caen. Ranville, France, 18 July 1944.